I finished my Hourglass HOORAY! 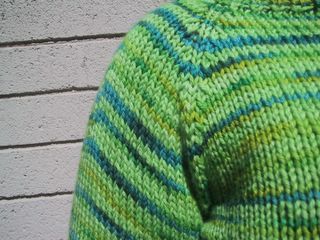 You can see the K1P1 Ribbing on the neck in this next picture. If I did it again, I would probably change it to 2 x 2 ribbing for a tighter rib, but this is good too. I started last Monday and I finished last Saturday. 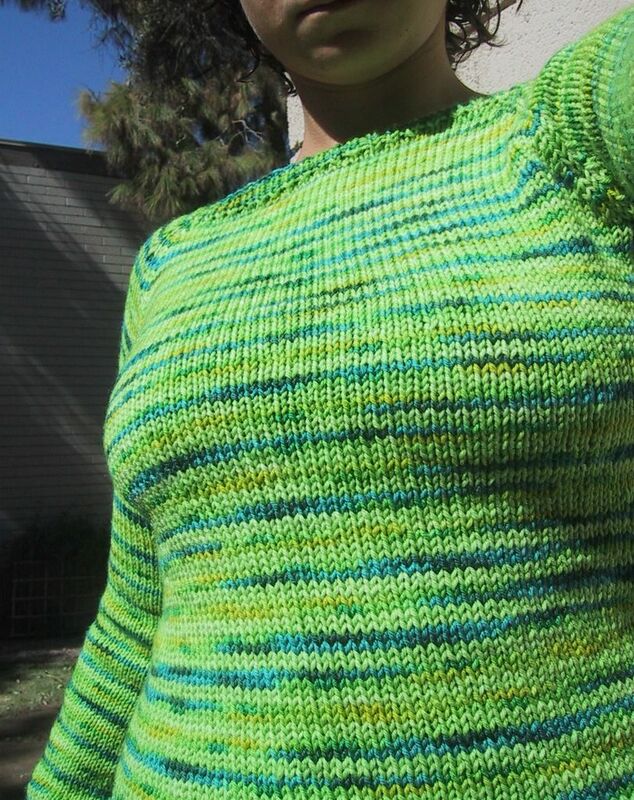 This was really quick to knit, and the constant shaping keeps it interesting. Wow! That is absolutely gorgeous! And you are so fast! I just might have to make another Hourglass. My first one was a solid olive green. I love the stripes! It gives it a whole new look. When you do the stripes, how do you carry the color of yarn you are not knitting with? Do you somehow weave it in or is it just hanging there across the two rows it's not being used? I didn't weave it in- I let it hang between the two rows. It's a very small distance, so it's not too tough. One thing I noticed was that it is not good to pull the hanging strand too tight. 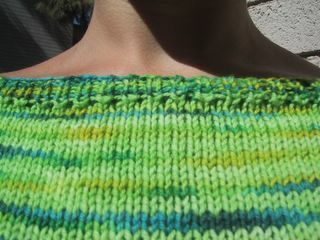 I was afraid of holes, so I was pulling extra tight when I switched colors, but it made the stitches bunch a little. 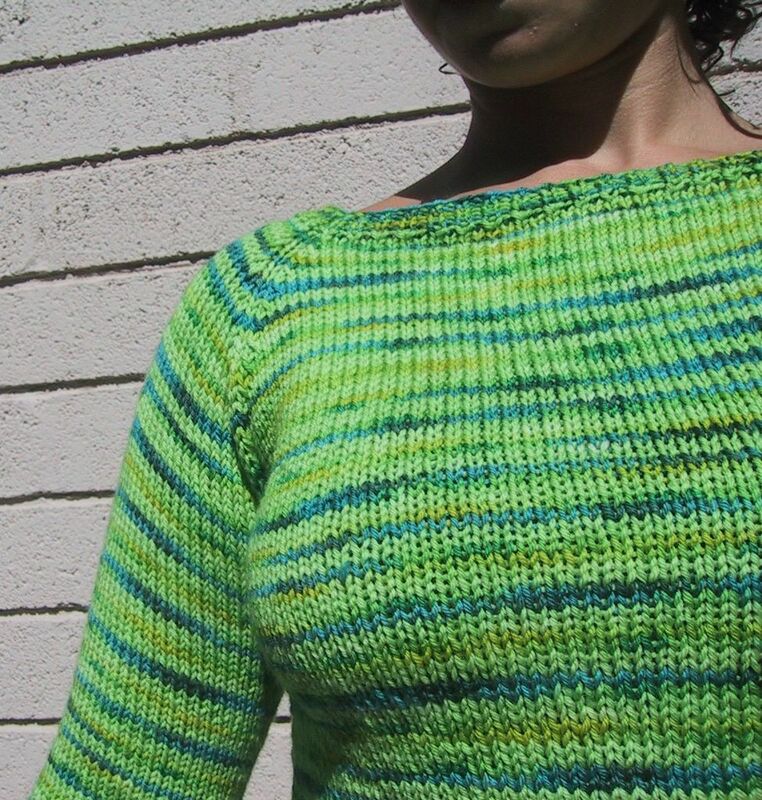 Also, one thing to remember with the stripes is that when you finish the sleeves, make sure that the color you just finished using matches up to the top of the body when you attach them. You might have to do a couple extra or a couple fewer rows to make it match. It looks great! 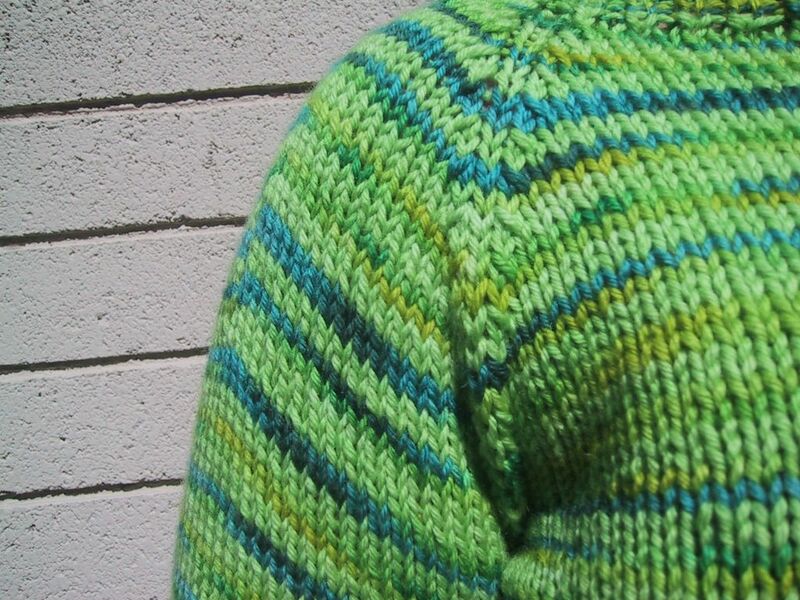 I like your idea of using ribbing instead of knitting facings; I found them very time consuming to sew up. 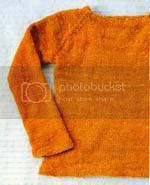 What a professional knit! Wauw! I'm still a beginner but allready addict:-) Its nice to see how everybody makes such nice things. I just started a weblog, so maybe I see you around?